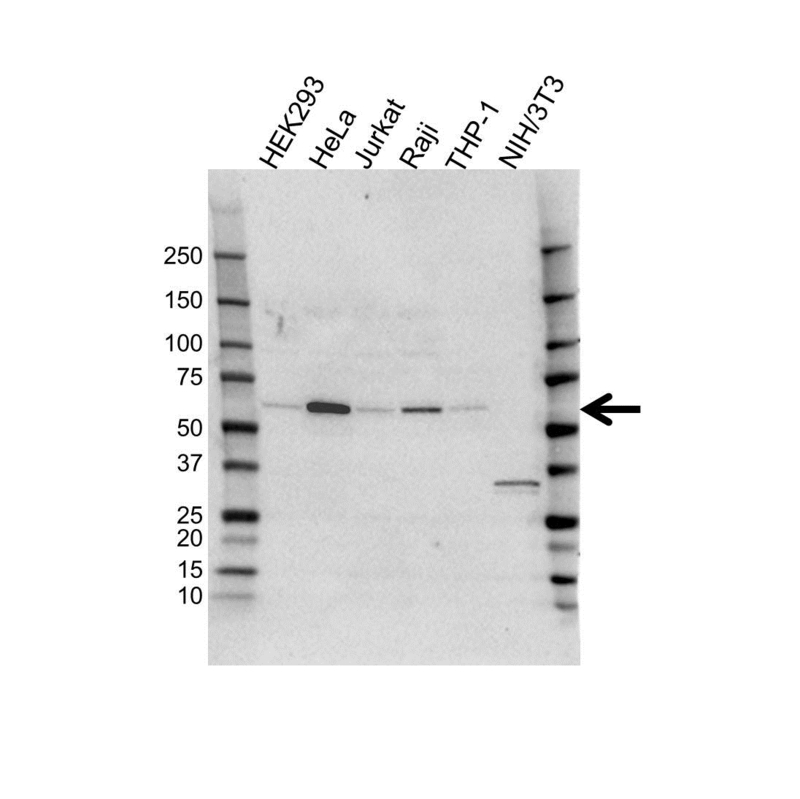 Rabbit anti Human SQSTM1 antibody recognizes sequestosome-1, also known as EBI3-associated protein of 60 kDa, EBI3-associated protein p60, EBIAP or ubiquitin-binding protein p62. The SQSTM1 gene encodes a multifunctional protein that binds ubiquitin and regulates activation of the nuclear factor kappa-B (NF-kB) signaling pathway. The protein functions as a scaffolding/adaptor protein in concert with TNF receptor-associated factor 6 to mediate activation of NF-kB in response to upstream signals. Alternatively spliced transcript variants encoding either the same or different isoforms have been identified for SQSTM1. Mutations in SQSTM1 gene result in sporadic and familial Paget disease of bone (provided by RefSeq, Mar 2009). Rabbit anti Human SQSTM1 antibody detects a band of 60 kDa. The antibody has been extensively validated for western blotting using whole cell lysates.